The Coast Guard finalizes, without change, an interim rule to update the table of outboard engine weights used in calculating safe loading capacities and required amounts of flotation material. The engine weight table was last updated in 1984, and the Coast Guard Authorization Act of 2015 requires that the Coast Guard update the table to reflect a specific standard. 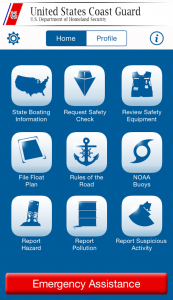 Congress has authorized the Coast Guard to prescribe regulations establishing minimum safety standards for recreational vessels and associated equipment. In 1977, the Coast Guard established flotation requirements for boats less than 20 feet in length, and established a weight table (Table 4 of subpart H in 33 CFR part 183) used to assist the boat manufacturer in determining the amount of flotation to be included in a boat's design and construction. Table 4 was last updated in 1984, but the size and weight of outboard engines have evolved over the years to the point that Table 4 no longer accurately represents the weights of outboard engines available on the market. The American Boat and Yacht Council (ABYC) is a non-profit organization that develops voluntary safety standards for the design, construction, maintenance, and repair of recreational boats. Among the voluntary safety standards that ABYC develops and updates on a regular basis is S-30—Outboard Engines and Related Equipment Weights (ABYC S-30). This standard reflects the current state of marine outboard engine weights. This rulemaking adopts the current ABYC S-30 to replace Table 4 of subpart H in 33 CFR part 183. The current ABYC S-30 is dated July 2012, and was the standard in effect on the date of enactment of the CGAA.